According to The Hollywood Reporter, singer Abel Tesfaye has been hit with the lawsuit by a UK film tycoon who claims the 25-year-old star knowingly sampled a score from 2013 sci-fi thriller 'The Machine'. The court case includes a rare form of evidence in the form of an alleged direct message sent by the song's producer and co-defendant Emmanuel 'Mano' Nickerson to the film's scorer Tom Raybould. 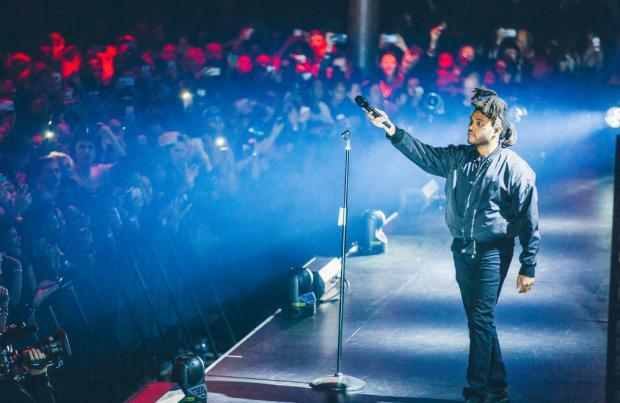 The Twitter message read: "On or about March 9, 2015, Defendant MANO sent Raybould a Twitter direct message stating 'I sampled your music might make it 2 the weeknd next album. Huge fan of what u did 4 the machine movie! (sic)"
The documents were filed at a federal court in California on Wednesday (09.12.15) by Cutting Edge Music Limited who are suing the Canadian star and the producers of the track along with major record labels Universal, Warner Chappell and Sony/ATV. The court papers obtained also include claims of alleged substantial similarity. The complaint available publicly on www.scribd.com, reads: "Both the Infringing Song and the Track featuring synthesizer bass-lines performed with almost identical idiosyncratic sounds at the same register and using the same pitch sequence, melodic phase structure and rhythmic durations (sic)." 'The Hills', which was released in May, is one of the most successful tracks of the year, a number one hit on the Billboard Hot 100 Charts and featuring in the top 10 in charts worldwide, including UK, New Zealand and Australia. The Weeknd also has seven Grammy nominations for his album 'Beauty Behind The Madness', which the track features on.